When it’s time to deliver your intended parents’ baby, you may be filled with many different emotions: excitement, anticipation and even nervousness. All of these are completely normal. Giving birth is a life-changing experience in and of itself; when you are giving birth to make someone’s parenthood dreams come true, it will be like nothing else you’ve ever experienced. Because of the involvement of the intended parents, your delivery will be slightly different than your previous deliveries of your own children. Fortunately, your surrogacy specialist will be there to guide you through this process from beginning to end. With the proper preparation and discussion with your intended parents, any nerves or confusion you have about what will happen in the hospital will be relieved — and you can focus on the positive experience you’re about to have. Your surrogacy specialist at American Surrogacy will help you prepare for this hospital stay. 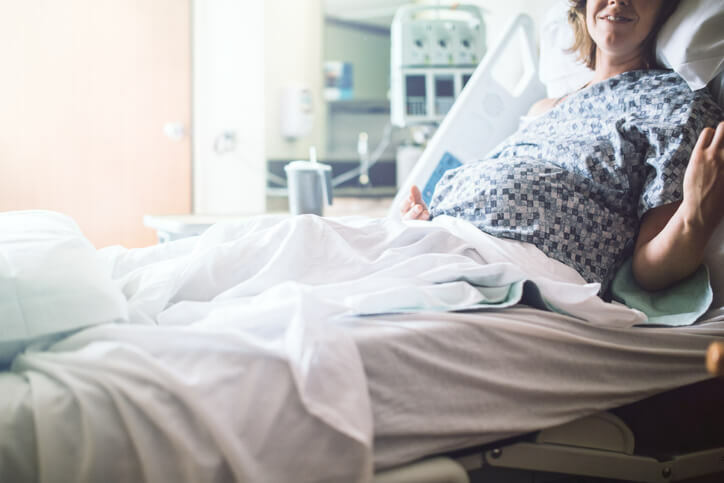 To help you ready yourself for your delivery experience, consider these five tips for surrogates like you who are about to give birth. 1. Make a hospital plan early on with your intended parents and your surrogacy specialist. The most important step in ensuring a positive hospital stay is creating a surrogate birth plan with your surrogacy professional and your intended parents. When you are first matched with intended parents, your preferences for your delivery will be considered, but your actual hospital birth plan will not be created until sometime in your second or third trimester. These are just some of the choices included in your hospital plan. Any additional aspects will be determined by your local hospital’s policies. Your surrogacy specialist will work with your medical professional to ensure your hospital plan preferences are implemented. 2. Be flexible as your hospital stay progresses. While your hospital plan will hopefully reduce the amount of unknown associated with your hospital stay, it’s important to be flexible as you are admitted to the hospital. Your surrogacy specialist and your medical professional will do their best to prepare the hospital professionals for your surrogate delivery, but be patient in case things do not go as planned. Becoming upset will not be beneficial for you, the intended parents or the baby. Remember that things will work themselves out and you will have your surrogacy specialist as your advocate during this time. 3. Invite your loved ones to spend time with you at the hospital. Usually, the intended parents and baby will get their own recovery room after your delivery. Your own recovery from childbirth will be difficult, especially with potential confusing emotions, and going through this process alone can be tough. Consider asking your spouse and your children to spend time with you while you recover. While the intended parents will likely spend time with you after birth, their focus will be on bonding with their baby. Therefore, having loved ones nearby during this physical and emotional recovery can be invaluable. 4. Have a backup plan in case things happen quickly. In an ideal world, every surrogate birth would go accordingly to plan. However, you may find your water breaking unexpectedly or being ushered into the maternity ward earlier than planned. In case this occurs, you and your intended parents should have a backup plan. In your last couple of months of pregnancy, put together a hospital bag that will be ready to go whenever you are. Make sure that you can always contact your surrogacy specialist on short notice, who will be able to inform the intended parents of your impending delivery. Being flexible and patient during an unexpected delivery will also be incredibly helpful to your mental state. 5. Enjoy this once-in-a-lifetime experience. When you give birth as someone’s surrogate, you will be participating in a beautiful moment that you all will remember forever. You can never anticipate the feeling of handing a child to their parents for the first time ever so, instead of focusing on the little details, try to focus on the amazing experience you are having and the partnership you are a part of. At the end of the day, it won’t really matter whether you had all of the ice chips and cool towels that you wanted — just that you will have changed the world for one eternally grateful family. To learn more about becoming a surrogate with American Surrogacy and the hospital experience you can expect, please contact our agency today at 1-800-875-2229(BABY).